Day 23, the young butcher. Creepy young guy with unknown intentions and a disturbing affection towards young boys. 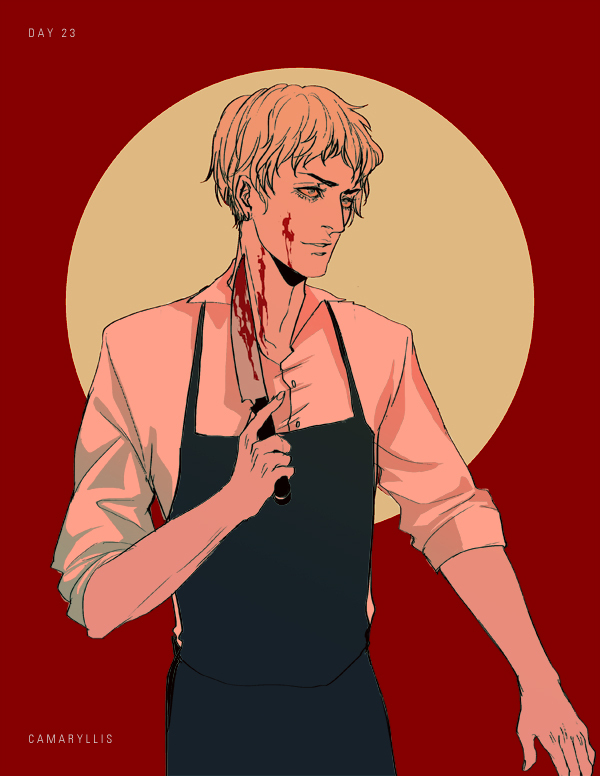 Don’t think he belongs in a butcher shop.